I don’t know what’s wrong with my USB flash drive, but all of my USB data suddenly lost, which is going to drive me mad!!! All my vital business files are gone. Any good-hearted people suggest me effective solutions would be highly appreciated. USB flash drives are the most portable data backup devices possibly. They don’t require an external power source of any kind, nor need any cables or tools to set them up and last but not the least they don’t require any additional software to be installed as an assistance while themselves working. Thus, by being appealed to their superb features, both of the young and the old, or the students and the businessmen would usually store their important data in USB drives. Everything is fine, but after meeting the problem as Beverley stated, do you still feel at ease? No matter what kind of situation you are facing now, as long as you’re an USB drive user, you definitely need one or two professional USB data recovery tools for saving or pre-saving your USB data. After gathering many data recovery software users’ comments, to make USB recovery, there are two kinds of tools are said the best! Fast! Safe! And Complete! You may start your experience on the below software under the trial version without any pay. Important USB files deleted? Mistakenly formatted? No need to panic now! AnyRecover data recovery tool guarantees that not only recovers all your important data from USB drive quickly, but also will never cause any damage to your USB drive or overwrite your data. In addition, no prior recovery experience is required as its clear and simplistic instructions on the interface will make you easily understand how to do at every step. Just 3 simple steps to get USB file recovery. 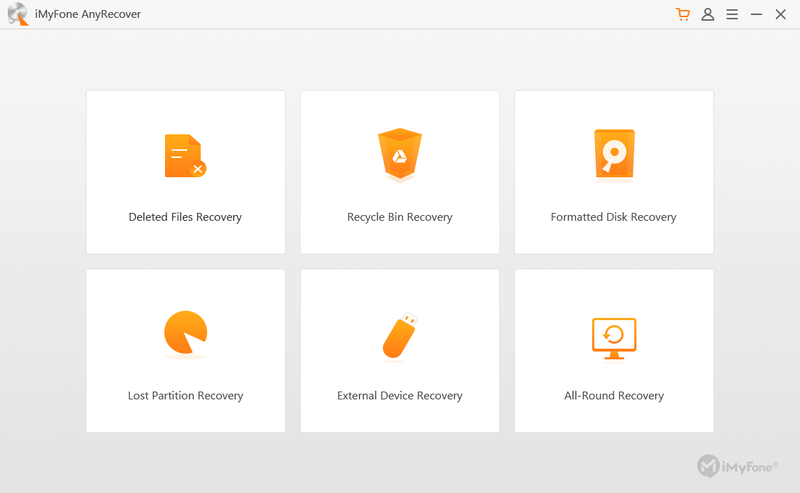 Complete and Effective Recovery: retrieves all data including document, graphic, video, audio, email and others such as Archives (ZIP, RAR, SIT, ISO etc. ), exe, html, SITX etc. Total Recovery: not only restores files from USB drives, but also easily and quickly gets data back from RAID, external hard drives, memory cards, digital cameras, MP3/MP4 players and more due to deleting, formatting, virus attacking, disk crash, system error etc. Risk-free and High Quality of Data Recovery Retrieves Your USB Data Easily! The professional USB recovery software offers reliable ability to recover your USB data, like image, video, audio, document, archive, and email. It provides you 4 recovery modes to restore data lost due to different reasons. With it, you will no longer worry about losing files from USB. Completely retrieve lost images, videos, audio files, documents, emails and more. Powerful Recovery Tool with Easy-to-Use Interface to Get Your USB Data Back Quickly. These are the two reliable recovery tools that are popularly used by a large amount of people from all over the world. You may try either one to perform your USB recovery. But personally, I do think the first one – Data Recovery could be your prior choice. You may feel the difference under the trial version yourself. Free download now and have a try.